Sometimes it may be useful to document additional information beyond what the default metadata fields allow you to record. Colectica allows you to add additional information about items in the form of annotations and custom fields. 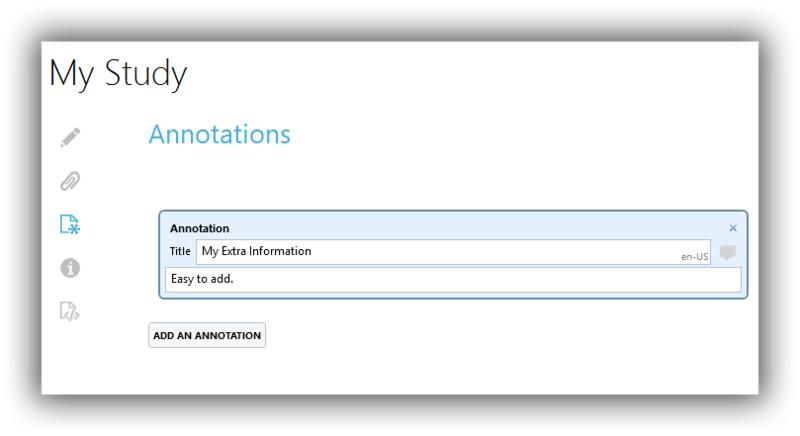 An annotation is a simple note added to an item. It includes a title and content. A custom field provides a more formal way to add information to an item. In an item’s view, click the Annotations button. Click the Add an Annotation button. In the fields that appear, enter a title and a value. They will be saved with your item. You may wish to make a custom field avaialable to all items of a particular type. The following properties are used to define a custom field. Detailed information about the field. This is displayed as help text in the form. The type of item to which the field applies. The type of value. Currently supported types include String, MultilingualString, Uri (hyperlink), and Controlled Vocabulary. After defining a custom field, all editors for the relevant item type will include data entry fields corresponding to the definition. To define custom fields across a network instead of only for a single machine, see TODO. From the File menu, choose the Custom Fields item. 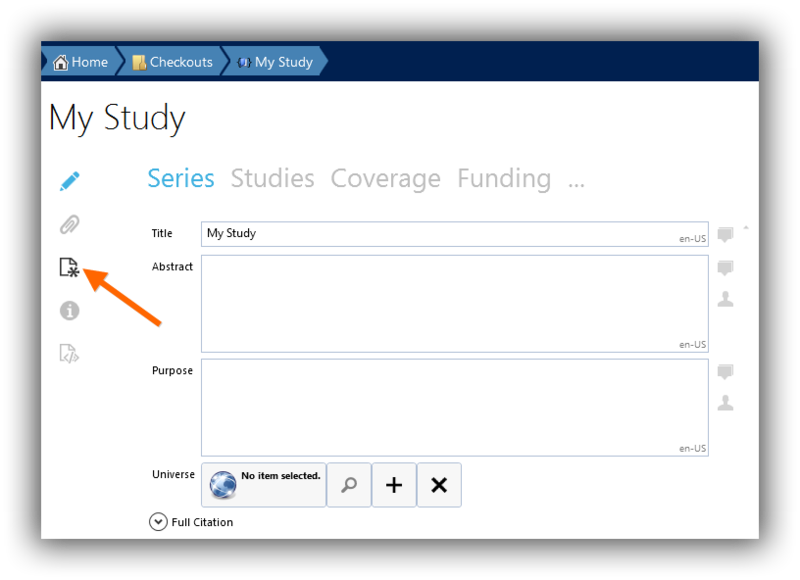 Choose the item type to which the field should apply. Enter a title and description for the custom field. Choose the value type of the item. The custom field will now be available for items of the relevant type. Choose the Custom Fields item from the File menu. Select the custom field you wish to remove. If individual items have values for a custom field and the custom field is removed, the values are not removed. This only prevents the custom field from appearing for items that do not already have a value defined.